Proton pump inhibitor (PPI) use and bone mineral density (BMD) at hip, spine, and total body. A, Total hip; B, total spine; and C, total body. Background Proton pump inhibitor (PPI) medications have been inconsistently shown to be associated with osteoporotic fractures. We examined the association of PPI use with bone outcomes (fracture, bone mineral density [BMD]). Methods This prospective analysis included 161 806 postmenopausal women 50 to 79 years old, without history of hip fracture, enrolled in the Women's Health Initiative (WHI) Observational Study and Clinical Trials with a mean (SD) follow-up of 7.8 (1.6) years. Analyses were conducted for 130 487 women with complete information. Medication information was taken directly from drug containers during in-person interviews (baseline, year 3). The main outcome measures were self-reported fractures (hip [adjudicated], clinical spine, forearm or wrist, and total fractures) and for a subsample (3 densitometry sites), 3-year change in BMD. Results During 1 005 126 person-years of follow-up, 1500 hip fractures, 4881 forearm or wrist fractures, 2315 clinical spine fractures, and 21 247 total fractures occurred. The multivariate-adjusted hazard ratios for current PPI use were 1.00 (95% confidence interval [CI], 0.71-1.40) for hip fracture, 1.47 (95% CI, 1.18-1.82) for clinical spine fracture, 1.26 (95% CI, 1.05-1.51) for forearm or wrist fracture, and 1.25 (95% CI, 1.15-1.36) for total fractures. The BMD measurements did not vary between PPI users and nonusers at baseline. Use of PPIs was associated with only a marginal effect on 3-year BMD change at the hip (P = .05) but not at other sites. Conclusion Use of PPIs was not associated with hip fractures but was modestly associated with clinical spine, forearm or wrist, and total fractures. Osteoporotic fractures, with hip fractures in particular, are associated with high morbidity, mortality, and cost.9 Thus, further exploration of the association of PPI use with fracture risk is warranted, particularly because medication use may be a modifiable risk factor. Data are limited regarding the association between PPI use and change in bone mineral density (BMD), and information in this area may provide insight into the biological plausibility of the PPI-fracture association. This prospective study uses data from the Women's Health Initiative (WHI), which studied an ethnically and racially diverse population of postmenopausal women, to examine associations of PPI use with fracture risk (hip, clinical spine, forearm or wrist, and total fractures) and changes in 3-year BMD (total hip, posterior-anterior spine, and total body). The WHI includes an observational study (OS) (n = 93 676 women) and clinical trials (CTs) (n = 68 132 women) of hormone therapy, dietary modification, and/or calcium and vitamin D supplementation. Women were recruited from October 1, 1993, to December 31, 1998, at 40 clinical centers in the United States and were eligible if they were 50 to 79 years old, were postmenopausal, planned to remain in the area where they lived at recruitment, and had an estimated survival of at least 3 years. Study methods have been described in detail elsewhere.10,11 This analysis included women enrolled in the WHI-OS (n = 93 675) and WHI-CT (n = 68 131) who had no prior hip fracture. Follow-up for this report was through September 18, 2005, for a mean (SD) duration of 7.8 (1.6) years. All protocols were approved by institutional review boards at participating institutions. Total fractures were defined as all reported clinical fractures other than those of the ribs, sternum, skull or face, fingers, toes, and cervical vertebrae. Self-reported clinical fractures were collected annually (WHI-OS) or semi-annually (WHI-CT) by mail and/or telephone questionnaires. Hip fractures were adjudicated by a central review of radiology reports in both CT and OS cohorts. Nonhip fractures were centrally adjudicated in the CT cohort but not in the OS cohort. 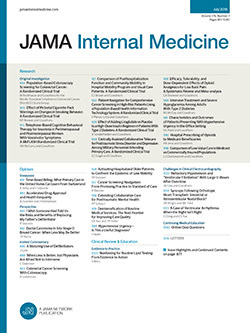 When self-reported fractures were confirmed by physician review, self-report was reasonably accurate for forearm/wrist (81%) and overall fractures (71%) and less so for spine fractures (51%).12 The fracture outcomes for this analysis included hip, clinical spine, forearm or wrist, and total fractures. The BMD at the total hip, posterior-anterior spine, and total body was measured at baseline at 3 clinical centers among 10 833 women (97% of participants enrolled in Pittsburgh, Pennsylvania; Birmingham, Alabama; and Phoenix and Tucson, Arizona) with dual-energy x-ray absorptiometry using a Hologic QDR densitometer (Hologic Inc, Waltham, Massachusetts). Standard protocols for positioning and analysis were used by trained technicians and ongoing quality assurance program was conducted.13 Owing to missing data on BMD, PPI use, and other variables, complete case analyses for hip, spine, and total body were 6695, 6629, and 6677 participants, respectively. Participants were asked to bring all current prescription medications to the baseline and 3-year visit. Clinic interviewers entered each medication name directly from the containers into the WHI database, which assigned drug codes using Medispan software (First DataBank Inc, San Bruno, California). Women reported duration of use for each current medication. Drugs in the PPI class include esomeprazole magnesium, lansoprazole, omeprazole magnesium, pantoprazole sodium, and rabeprazole. Drugs in the H2RA class include cimetidine hydrochloride, famotidine, nizatidine, and ranitidine hydrochloride. Duration of use was examined in 3 categories (<1 year, 1-3 years, or >3 years). Information on dose was not recorded. Participants using both classes of medications were classified as PPI users because this medication has stronger acid suppressive effects. Information on all covariates was obtained by self-report at baseline. Baseline questionnaires ascertained information on race or ethnicity, history of fracture, and current and past smoking. Information was collected on self-report of several physician-diagnosed conditions. Physical function was measured by using the 10-item Medical Outcomes Study scale (a score >90 defines higher function).14 Body mass index (BMI) was calculated as weight in kilograms divided by height in meters squared. Self-reported physical activity was measured as metabolic equivalent tasks (in hours per week).15 Medication covariates included psychoactive medication (sum of individual agents: anxiolytics, hypnotics, antidepressants, antipsychotics, and antiepileptic agents), corticosteroids, hormone therapy (HT), and bisphosphonates. Dietary intake of calcium and vitamin D was measured by using a semiquantitative food-frequency questionnaire.16 Total calcium or vitamin D intake was defined as the sum from diet and supplements. The characteristics of women taking a PPI and/or H2RA at baseline (Table 1) were compared with those of nonusers of both medications by χ2 tests (for categorical variables) or 2-sample t tests (for continuous variables). All analyses were conducted using SAS statistical software (version 9.1; SAS Institute Inc, Cary, North Carolina). Multivariate analyses were conducted for participants with no missing covariate data (n = 130 487). Hazard ratios (HRs) and corresponding 95% confidence intervals (CIs) for fracture among PPI users or H2RA users vs nonusers were computed from Cox proportional hazards survival models for each fracture outcome (Table 2). Women contributed follow-up time until the occurrence of fracture, death, or end of follow-up, whichever came first. Two models were fitted for each fracture outcome to examine the effect of potential confounding. Model 1 adjusted for age, race or ethnicity, BMI, randomization assignment for WHI-CTs, and an indicator for OS vs CT cohorts. Model 2 further adjusted for variables predictive of hip fracture from a prior WHI analysis (eg, smoking, physical activity, self-reported health, having a parent who broke a hip after age 40 years, treated diabetes mellitus, history of fracture at age ≥55 years, and corticosteroid use)17 and variables that might be confounders based on a review of the literature (physical function score, medical conditions, osteoporosis, number of psychoactive medications, and use of HT and bisphosphonates).4,5,7 Change in PPI use over time was evaluated by entering PPI use as time-dependent exposure. In addition to the main models, a similar series of proportional hazards models were run to examine duration of PPI use with fracture outcomes (Table 3). An a priori plan of analysis specified selected subgroup analyses for associations of PPI use on the outcomes of hip fracture and total clinical fractures by age, HT use, BMI, osteoporosis, prior nonhip fracture, calcium intake, and presence of ulcer or heartburn. For the survival modeling, the proportional hazards assumption was evaluated by examining plots of the baseline hazard as a function of the exposure variables of interest as well as testing an interaction term of PPI use by log follow-up time. As a sensitivity analysis, we reran the models for baseline PPI exposure using only adjudicated fractures (spine, forearm or wrist, total) from the WHI-CT. The mean BMDs according to PPI use are presented with standard errors. Multivariate linear regression methods were used to assess the association of baseline BMD with any PPI use and duration of PPI use, as well 3-year changes in BMD. To further evaluate the differences in BMD according to PPI use, the change in BMD from baseline years 3 and 6 was examined using repeated-measures models adjusted for WHI trial participation and intervention and subsequently, all variables in model 2 and a time-dependent PPI exposure. Among the 161 806 women in the total cohort at baseline, 3396 (2.1%) were currently using a PPI medication, and 10 016 (6.2%) were using an H2RA only. Of those using a PPI medication at baseline, 392 (11.5%) had used their PPI for more than 3 years, 1520 (44.8%) for 1 to 3 years, and 1484 (43.7%) for less than 1 year. Omeprazole (n = 2875 [84.7%]) and lansoprazole (n = 521 [15.3%]) were the only PPIs used. Those who used PPIs were more likely than nonusers to be obese; have osteoporosis and history of fractures; have treated diabetes mellitus or a history of several health conditions; use of certain medications (eg, psychoactive medications, HT); and have poorer physical function and poor/fair self-reported health. During 1 005 126 person-years of follow-up, 1500 hip fractures, 4881 forearm or wrist fractures, 2315 clinical spine fractures, and 21 247 total fractures occurred. The annualized rates of hip fractures were 0.15% for nonusers and 0.19% for PPI medication users. In the fully adjusted models, PPI use was not related to risk for hip fracture (HR, 1.00; 95% CI, 0.71-1.40) but was related to clinical spine, forearm or wrist, and total fractures (Table 2). Those using PPIs had a 47% increased risk for clinical spine fracture (HR, 1.47; 95% CI, 1.18-1.82), a 26% increased risk for forearm or wrist fractures (HR, 1.26; 95% CI, 1.05-1.51), and a 25% increased risk for total fractures (HR, 1.25; 95% CI, 1.15-1.36). There was no association between H2RA use and hip, clinical spine, or forearm or wrist fracture, but use was associated with a minimal increase in total fractures (HR, 1.08; 95% CI, 1.02-1.14). Examination of the relative hazard of hip, wrist, or total fracture by duration of PPI use at baseline (Table 3) revealed no consistent trend. Among the 140 388 women who had completed a year 3 clinic visit (87%), 1971 of 2881 (68.4%) of current PPI users at baseline were still using a PPI 3 years later. Among the 137 507 not taking a PPI at baseline, 6211 (4.5%) were taking a PPI at the year 3 clinic visit. The HRs for PPI use derived from time-dependent Cox proportional hazards models were 1.01 (95% CI, 0.80-1.29) for hip fracture, 1.21 (95% CI, 1.02-1.44) for clinical spine fracture, 1.18 (95% CI, 1.04-1.35) for forearm or wrist fracture, and 1.19 (95% CI, 1.12-1.27) for total fracture. For hip fractures, there was no evidence of effect modification in the subgroups examined. For total fractures, we found an interaction between PPI use and age group (P = .02) and history of nonhip fracture (P = .02). The increased risk for total fractures with PPI use appeared in the age groups younger than 70 years (HR, 1.31-1.52), whereas women aged 70 to 79 years had an HR of 1.05 compared with nonusers (95% CI, 0.90-1.22). In those with no history of fracture, risk for fracture was 32% higher in PPI users (HR, 1.32; 95% CI, 1.20-1.46) compared with nonusers. In contrast, in those with a history of fracture, PPI users had an HR of 1.04 compared with nonusers (95% CI, 0.87-1.24). When considering only adjudicated fractures for spine (n = 628), forearm or wrist (n = 1791), and total fractures (n = 6580) from the CT cohort, the adjusted HRs were 1.65 (95% CI, 1.10-2.49), 1.11 (95% CI, 0.80-1.56), and 1.27 (95% CI, 1.08-1.49), respectively. Adjusting for psychoactive medications individually rather than as total number had a minimal change in effect size (eg, hip fracture HR, 1.02; 95% CI, 0.72-1.45). Further adjustment for several other medication classes associated with fracture risk (thyroid, thiazide diuretics, coumarin anticoagulants, loop diuretics, and β-blockers) also had a minimal effect on the effect size (eg, hip fracture HR, 0.99; 95% CI, 0.71-1.39). At baseline, women using PPIs had similar BMD at the hip (adjusted mean, 0.87 vs 0.87 g/cm2), spine (adjusted mean, 0.99 vs 0.98 g/cm2), and total body (adjusted mean, 1.03 vs 1.02 g/cm2) compared with nonusers (Table 4). Baseline BMD did not vary significantly according to duration of PPI use at any site (data not shown). When examining the 3-year BMD change from baseline, participants on average experienced small increases in BMD at all sites because some women were participating in active treatment arms in the WHI-CT involving HT and/or calcium and vitamin D supplementation (Table 4). The adjusted difference in 3-year hip BMD according to baseline PPI use was 0.74% (95% CI, 0.01-1.51), favoring nonuse. We did not observe a significant difference in the 3-year change in BMD at the spine or total body (P = .94 and P = .08, respectively). Last, using a repeated-measures model to examine change in BMD from baseline for participants at years 3 and 6, we found that the hip BMD significantly differed between PPI users and nonusers over time (P = .001), whereas spine and total BMD did not (P = .34 and P = .38, respectively) (Figure). Repeating this analysis using actual BMD, rather than percentage change from baseline, yielded similar results (hip, P = .04; spine, P = .28; and total body, P = .81). When a time-dependent PPI use variable was used (including year 3), the difference in hip BMD was no longer significant (P = .43). In this large prospective population-based study of postmenopausal women without history of hip fracture, PPI use was not significantly associated with increased hazard of incident hip fracture. Among PPI users at baseline, the HR for hip fracture was 1.00 and the CIs indicate that the true HR may be as high as 1.40 or as low as 0.71. An increased risk for hip fracture was not noted with longer duration of PPI use nor in any subgroup of women classified by age, BMI, current HT use, calcium intake, or history of nonhip fracture. However, we did find that baseline PPI use was associated with an increased risk for other fracture outcomes, including clinical spine, forearm or wrist, and total fractures. The effect size was reduced for these latter fracture outcomes when a time-varying exposure was considered. Several large epidemiological evaluations suggest that use of PPIs is associated with increased risk for osteoporotic fractures.3-6 In a nested case-control study4 conducted in a British sample using the General Practice Research Database, PPI use of at least 1 year was associated with a 44% increase in hip fracture, with a greater risk in men and with higher doses. However, a second analysis of the same database by other researchers using different epidemiologic methods did not find an association with PPI use and hip fracture.7 In a case-control study5 in a Canadian sample using administrative claims data, 7 or more years of PPI use was associated with a 92% increase in risk for any osteoporotic fracture and 5 or more years of use was associated with a 62% increase for hip fracture; shorter durations of use did not significantly increase risk. In the Study of Osteoporotic Fractures,6 self-reported use of PPIs was associated with a 34% increased risk for nonspine fractures and a 16% increased risk for hip fracture; the latter had CIs that included 1. The authors noted that the limited number of hip fractures may have precluded finding an association.6 Unlike other studies,4,5 we did not observe an increased fracture risk with longer duration of use; however, few women had durations of use that exceeded 3 years. Interestingly, the increased risk for total fractures with PPI use was not mitigated by use of high calcium supplementation. Given the hypothesis that reduced calcium absorption with long-term PPI therapy may mediate the increased fracture risk, we might expect effect modification by baseline calcium intake. It is not clear why women without prevalent nonhip fractures, or those younger than 70 years were at greater risk for total fractures with PPI use. Perhaps PPI use is a risk factor in those at low risk for fractures, whereas other established risk factors for fractures are more important and dampen any potential risk of PPI use in those with established risk factors (such as history of fracture). This finding is in direct contrast to a study reporting that PPI use did not increase the risk of hip fractures in a sample of women without known risk factors.7 These findings require confirmation. The mechanism by which long-term PPI use may increase fractures is unknown but is postulated to be related to profound acid-suppressive effects that may reduce intestinal calcium absorption, eventually leading to bone resorption. However, the role of gastric pH in calcium absorption is controversial.18 Calcium absorption is highly variable and is dependent on several factors, including vitamin D status, total daily intake, dose, and concurrent food intake. Data are limited with regard to the effect of PPI use on calcium absorption and show conflicting results.19-23 Using an indirect measure of calcium absorption, short-term studies in healthy men19 and patients undergoing hemodialysis20,21 indicate that omeprazole treatment blunted the rise in serum calcium following a test meal, suggesting reduced calcium absorption. In contrast, a study22 using a direct measure of intestinal calcium absorption found that omeprazole did not reduce calcium absorption in healthy individuals. Conversely, PPI therapy may have a positive effect on bone through inhibition of the osteoclastic proton transport system, leading to reduced bone resorption.24-26 This direct effect on bone could counteract the potential negative impact of calcium malabsorption. The strengths of the present study include the large sample size, diversity of participants, the adjudication of hip fractures, the large number of fracture events, the availability of data on numerous confounding factors not available in past investigations (including calcium intake), and the ability to assess associations with BMD and fracture in the same study. Because of these strengths, we have been able to extend the findings from past investigations; however, our study has several limitations. Users of PPIs had more chronic health conditions (including osteoporosis) and risk factors for fractures (eg, older age, history of nonhip fracture). We did our best to adjust for these baseline differences, but, like all observational studies, residual or unmeasured confounding could explain increased associations for some fracture types. We found a relatively low prevalence of PPI use in the study sample, particularly long-term PPI use. We could not account for PPIs used in the past that were no longer being taken at baseline. Lack of information on the dose of PPI medication was another limitation, although the available data did allow examination of duration. Reliance on self-report of nonhip clinical fractures in the OS component is a third limitation; however, sensitivity analyses using only adjudicated fractures from the WHI-CT confirmed the self-reported findings, particularly for spine and total fractures. Furthermore, spine radiographs were not obtained, so we could not examine associations with subclinical spine fractures. Correspondence: Shelly L. Gray, PharmD, MS, School of Pharmacy, University of Washington, Box 357630, Seattle, WA 98195 (slgray@u.washington.edu). Accepted for Publication: January 16, 2010. Author Contributions: Ms Gray and Dr LaCroix had full access to all of the data in the study and take responsibility for the integrity of the data and the accuracy of the data analysis. Study concept and design: Gray and LaCroix. Acquisition of data: LaCroix, Robbins, Cauley, and Manson. Analysis and interpretation of data: Gray, LaCroix, Larsen, Cauley, Manson, and Chen. Drafting of the manuscript: Gray. Critical revision of the manuscript for important intellectual content: Gray, LaCroix, Larsen, Robbins, Cauley, Manson, and Chen. Statistical analysis: LaCroix, Larsen, and Chen. Obtained funding: LaCroix, Robbins, and Manson. Administrative, technical, and material support: Gray, Cauley, and Manson. Study supervision: LaCroix. Funding/Support: The WHI Program is funded by the National Heart, Lung, and Blood Institute of Health, US Public Health Service contract N01-WH-3-2118. The National Institutes of Health Project Office reviewed and approved the final manuscript.